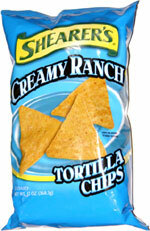 Taste test: These large, thick, triangular tortilla chips lived up to their name with a very creamy ranch flavor. They tasted very good, and Shearer's packed a ton of chips into this large bag. 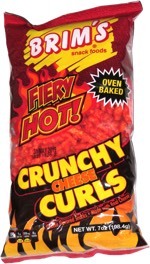 Smell test: Smells mostly like tortila chips, not really ranchy.